I have always been interested in teaching and education, although most of my creative efforts have centered on music performance. The joy of relaying knowledge and sharing something meaningful and lasting with a student has always inspired and fascinated me, and I have been teaching for years. The memories of my teachers and the wisdom they shared with me still resonate strongly in my mind and I aspire to do the same for the young generation of musicians. 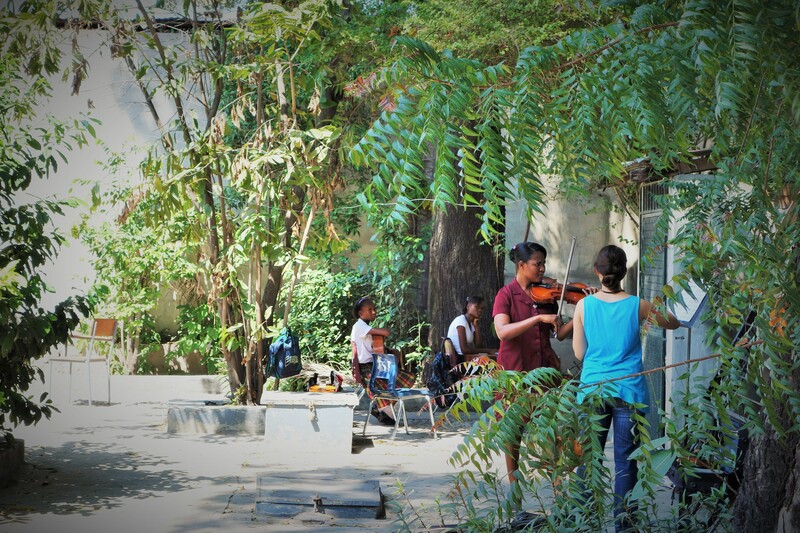 This is why I jumped at the opportunity to volunteer at the Sainte-Trinité School of Music in Port-au-Prince, Haiti. My longtime friend and fellow violist Enrique Márquez told me about his work with MESDA, a Harvard-based nonprofit organization devoted to music education he helped found. 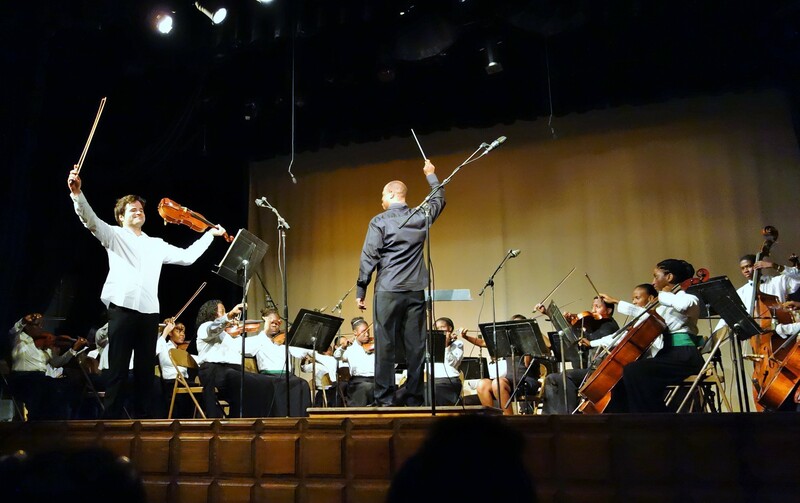 MESDA offers after-school orchestra programs for at-risk youth in Mexico, Haiti and Venezuela. I immediately offered to volunteer once he had told me stories of the students’ enthusiasm, which touched me deeply. With the punishing Met schedule that allows for almost no time off between early September and late May, I immediately knew finding time to participate would be an issue. The only possibility was my vacation week. I was exhausted, but once I arranged for that week off, I immediately called Enrique and committed. 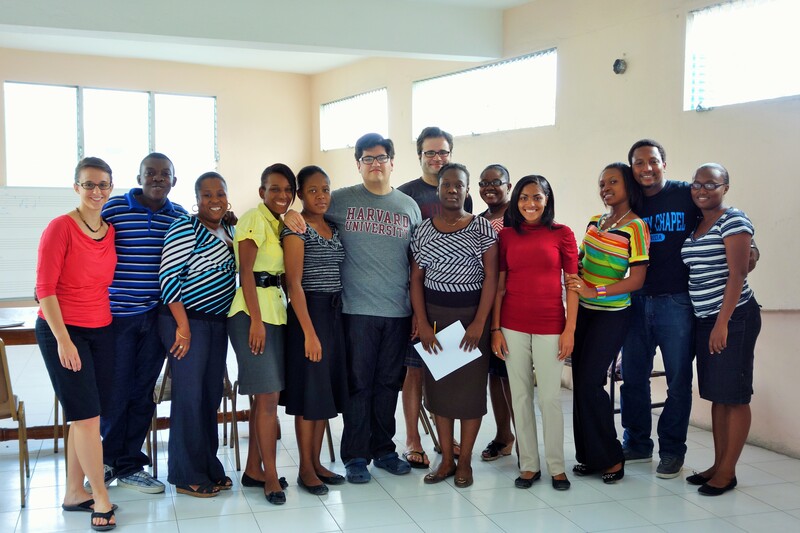 In March 2013, I departed on a flight from New York to Port-au-Prince on a seven-day educational mission. There were seven of us working with MESDA on this trip. Emi was a Juilliard-trained flutist and educator, Céline was a graduate student in clarinet at Boston University, Lee Ann and Andrea were undergraduates at Harvard, who in addition to their many talents, played the cello and bassoon respectively, Enrique and I were to teach violin and viola, and a journalism student came along as well to shoot documentary footage. We all arrived within days of one another and were lucky the school had a donated SUV that was used to ferry us between the school and our housing, many miles apart. And it was on to teaching right away. The uniformed schoolchildren who greeted us were smiling, instruments in hand. The violins they had at their disposal were donated low-grade factory instruments, shared between multiple students. Worse, strings were a luxury, and most of them were years old and could no longer produce adequate sound. 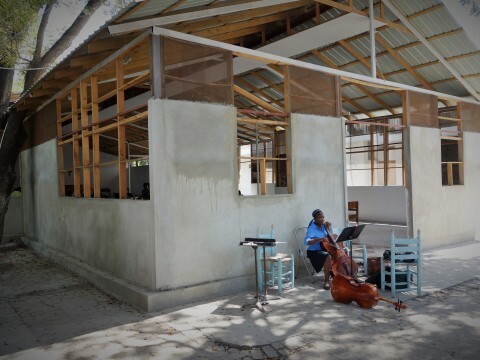 And how could the school afford a new set several times a year per instrument, when an entry-level set is more than the average monthly wage in Haiti? Classical music is an expensive proposition, and that was all the more obvious in what is the poorest country in the Western hemisphere. 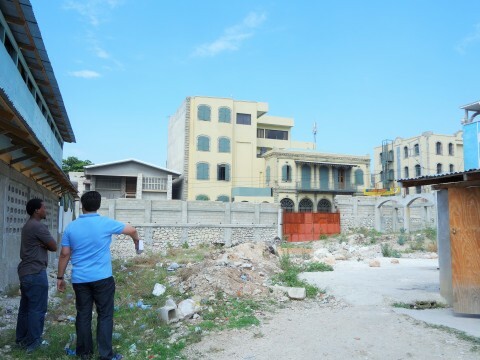 The great earthquake of 2010 had killed 160,000 people in Haiti and destroyed hundreds of thousands of buildings in and around Port-au-Prince, and the consequences were still visible everywhere. The shacks the school used as classrooms, while spacious and airy, had no glass windows, almost no electric lighting, no good pianos or wind instruments. Some of the rubble around the school, in fact, around a lot of the city, had not yet been cleared. We had to find corners in the schoolyard, a corner in the hall – really, any place without too much noise around us – and just teach right then and there. We taught all day, three to four hours in both morning and afternoon, giving individual lessons and sectionals, i.e. rehearsals of orchestra sections separately before playing all together. Occasionally we got asked to teach an extra lesson to an especially eager student, and we happily obliged. Not only did we teach the students, we also worked with some of the teachers, none of which had studied music beyond high school. I also gave a well-received lecture in French to the students’ parents, about how to motivate their children to practice at home, an age-old predicament. 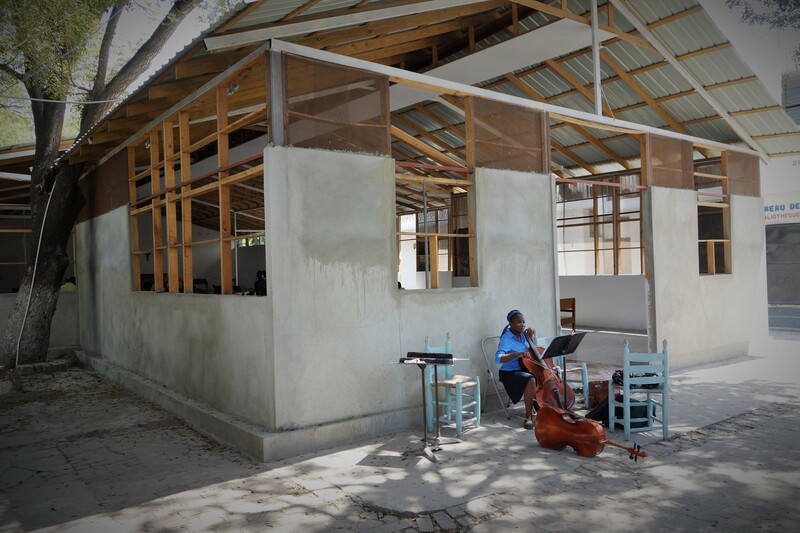 There are few highly qualified people in all of Haiti to teach music. Besides Father David César, a Temple University graduate, our host and a wearer of many hats – he’s an Anglican priest, head of the music school, its orchestra’s conductor and violin and viola teacher – there is also a blind Juilliard-trained violinist who was badly injured in the earthquake of 2010, and several more people. In fact, dozens of students and teachers of this school alone perished in the earthquake. A bravura finish to my concerto performance! One could see the musicians practicing almost anywhere. 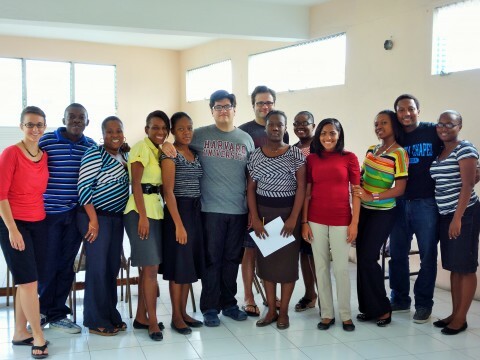 Enrique and I, with some of the faculty and students of the school. Enrique and a student, observing the damage the earthquake had caused to the school. We could only devote about thirty minutes to each student, and did our best to find solutions to the technical problems we were seeing. Interestingly, most violin students produced a nice, warm tone, in spite of their shabby instruments. That went hand in hand with my firm belief that a strong inner musical voice will transcend the equipment and its limitations, whatever they may be. Just one of many reminders of the metaphysical in our line of work, and a heartwarming reminder of the kids’ talent. Everyone tried hard and we felt like our efforts were deeply appreciated on all levels. Father David César did his best to make our stay more enjoyable, generously taking us out on the town on several occasions. 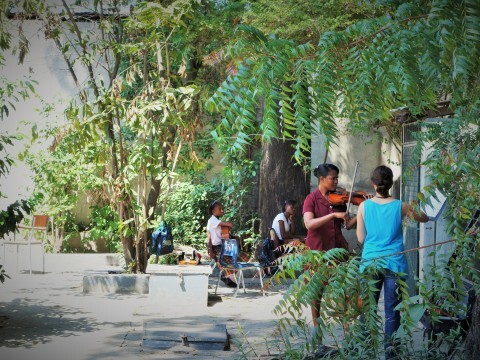 We had the assistance and friendship of two young American music teachers who had already been working at the Sainte Trinité School of Music throughout the school year, as part of an unrelated community service program. They had almost become locals, with their fluent Creole and intimate knowledge of Port-au-Prince. We stayed at the housing of the Anglican church with which the School of Music is affiliated, next to the live-in custodian and his family, who shared their simple food with us. There was no hot water, and the water we had was unsuitable for drinking. 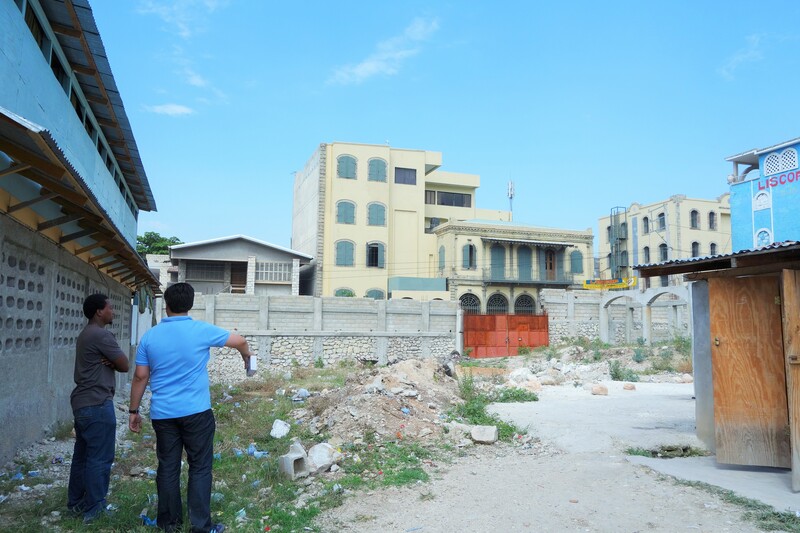 Electricity went in and out a few times and water supply suffered from interruptions as well – and we stayed in one of Port-au-Prince’s nicer neighborhoods. But we had camaraderie and a sense of purpose. When we wanted a break, we snuck out in groups for a snack or drink at nearby establishments catering to foreign NGOs operating in Haiti, which in addition to wireless internet we had at the church greatly improved our daily lives. 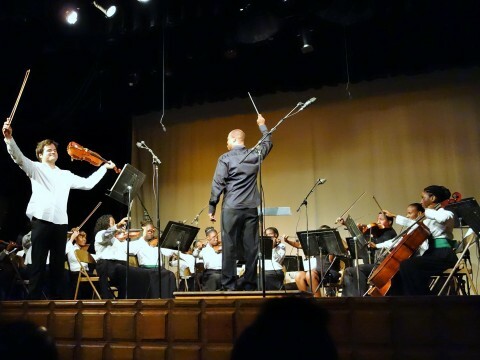 I had the honor to be invited to perform with the Sainte-Trinité Philharmonic Orchestra, the only regularly performing orchestra in Haiti, consisting of the school’s students and other musicians. We performed at a monastery near the city, which seemed as though on a different planet. French-Canadian nuns operated a gorgeous campus with impeccably tended gardens and charming architecture. In addition to several concertos performed by student soloists, Enrique and I performed Brandenburg Concerto No. 6 by J.S. Bach, and I played a concerto for viola and strings by Henri Casadesus in the style of G. F. Händel, a little played but lovely piece of music. My dear colleagues, Michael Ouzounian, Principal Viola of the MET Orchestra, and Rosemary Summers, the now retired Assistant Librarian, offered invaluable assistance in helping prepare the sheet music for my performance at short notice. Our trip ended all too soon and it was time to go back to New York for me. It had been a grueling and overwhelming week and I felt bewildered by everything I had seen and experienced. I staggered onto my return flight having got serious food poisoning and without my wallet, which had been stolen at one of our nights out, but I was so sad to leave. New York was cold and snowy and the difference between the place I had just left and the place I called home could not have been more jarring. When I attempted returning to work at the Met the next day in spite of my illness, I found everything so sterile and incomprehensibly foreign. I walked around my home and would suddenly start crying, beset by memories and many unanswered questions. The powerlessness I felt was hard to deal with. The scope of problems in Haiti was overpowering and what we did to help was just a drop in the bucket. I could not help but wonder what the lives of the people I had met were like. Although I did not know for sure, it was not hard to imagine the tremendous hardships most of them must have been through. And yet, the children showed up every morning on time, in their freshly pressed school uniforms, and eagerly played Bach, Telemann, and Mozart. If anything was perfectly clear to me at that point, it was that that’s what life really is, whatever cards you’re dealt. To persevere, to keep trying.